Are you creating the project with? Upgrading to v5.0.3 on MyGet should also resolve the ServiceStack.OrmLite compilation issue. I can’t reproduce this issue, can you try upgrading to v5.0.2? when I update to v5.0.3 (must reopen vs, it will get many warnings otherwise) ,it still show same error like above, and ServiceStack version in error list alway 5.0.0.0? That upload doesn't work, just upload the project to GitHub. 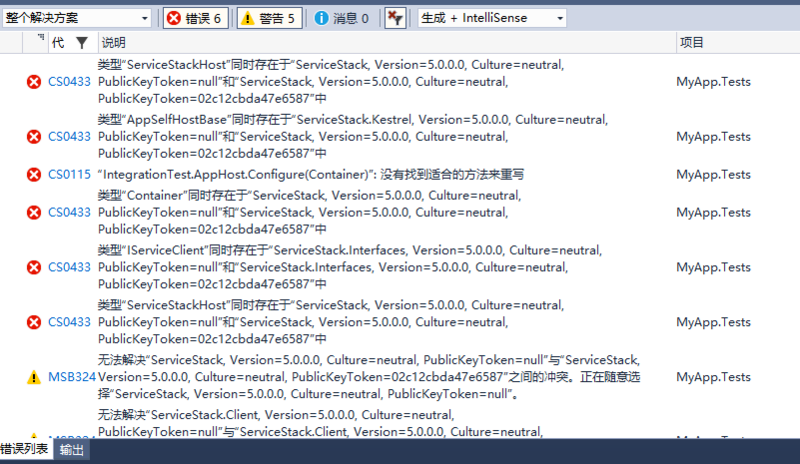 The issue was that the ServiceStack.Kestrel had a dependency on the main ServiceStack NuGet package which installs the .NET Framework version of ServiceStack.dll. I've removed the reference to the "ServiceStack" NuGet package so now it will just install the "ServiceStack.Core" NuGet package defined in the test project. and delete the /packages folder and install ServiceStack v5.0.3 packages it should without issues. 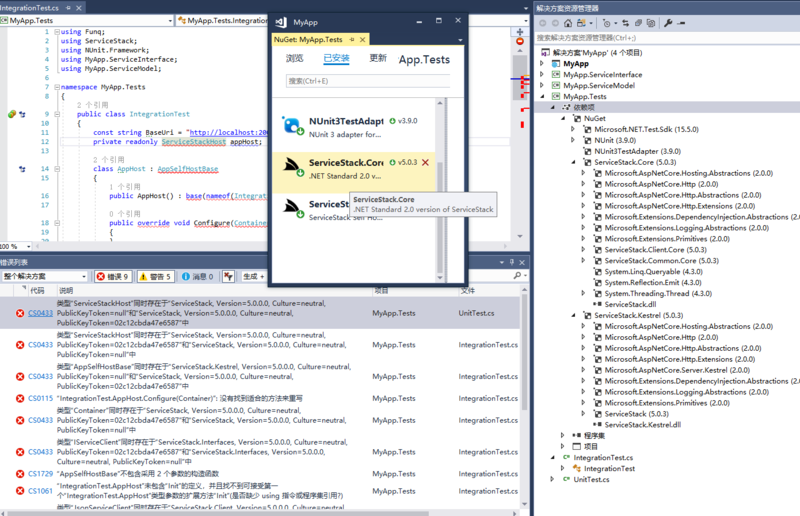 The project builds but the tests only run when targeting .netcoreapp2.0 because it can’t resolve lib_uv module. Still looking for workarounds. You should now be able to run Kestrel Self Hosting tests with .NET Framework v4.7.